ASTONISHING X-MEN #1 Recruits Superstar Artists For Epic Thrill Ride! Cheung, Garney, ACO, Noto, Land, Rosanas & More to Be Revealed! Kicking off in July’s oversized Astonishing X-Men #1, Charles Soule teams with red-hot artist Jim Cheung to unite a team of fan-favorite X-Men the likes of which you’ve never seen before! Future issues of Astonishing X-Men will feature artwork by Ron Garney, ACO, Phil Noto, Greg Land, Ramon Rosanas with more artists yet to be revealed! Old Man Logan, Archangel, Mystique, Rogue, Gambit, Bishop, Psylocke and Fantomex. Assembled, they are the Astonishing X-Men. But what brings this eclectic collection of heroes together? A familiar menace has once again reared its ugly head – reborn, renewed and resurrected. 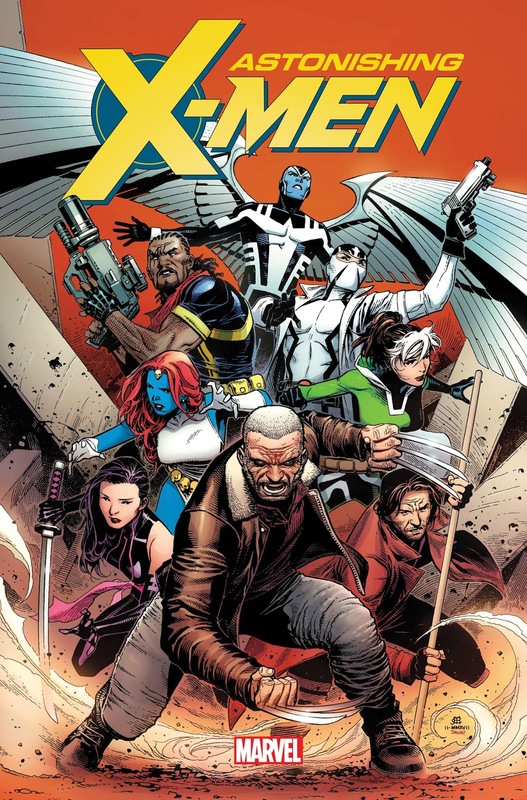 To defeat one of their deadliest foes and rescue one of their own, the X-Men’s greatest will assemble for a mission that will take them places you never thought they’d go! The first can’t-miss issue of ASTONISHING X-MEN hits this July. For more information, visit Marvel.com for a full interview with writer Charles Soule!